Our	assembly is made up of families from Ham Lake, Maplewood, Oakdale, North Oaks, Fridley, Edina, St. Paul, Pine Island, Rochester, and Roberts (WI) (i.e., there might be someone near you). 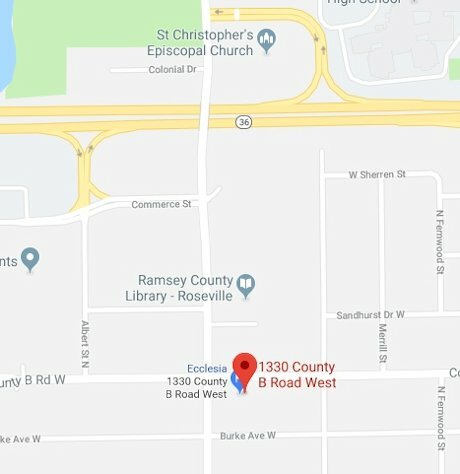 We meet each Sunday at 1330 County Road B West, Roseville, MN 55113. Copyright 2009-2018 Christadelphian Ecclesia of St. Paul. All rights reserved.